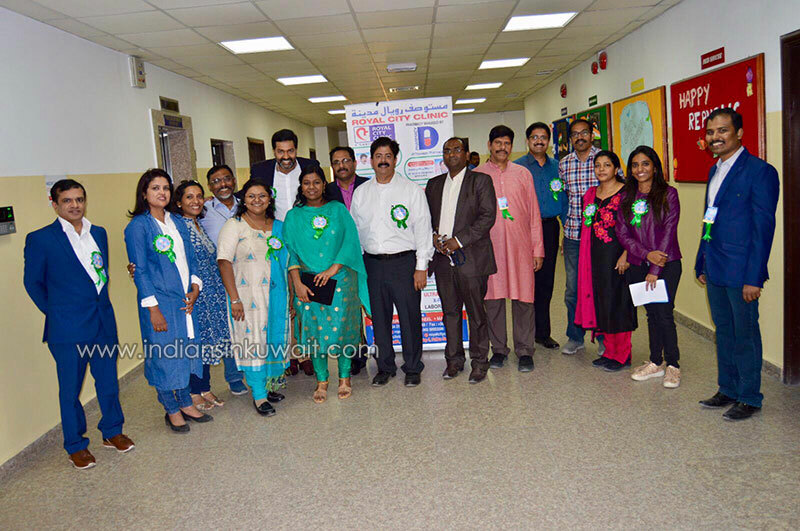 The Indian Dentists Alliance in Kuwait ( IDAK ) and Kuwait City Marthoma Parish Edavaka Mission joined hands on February 1st Friday for a noble mission to bring smiles on the face of a large number of brethren seeking dental care. 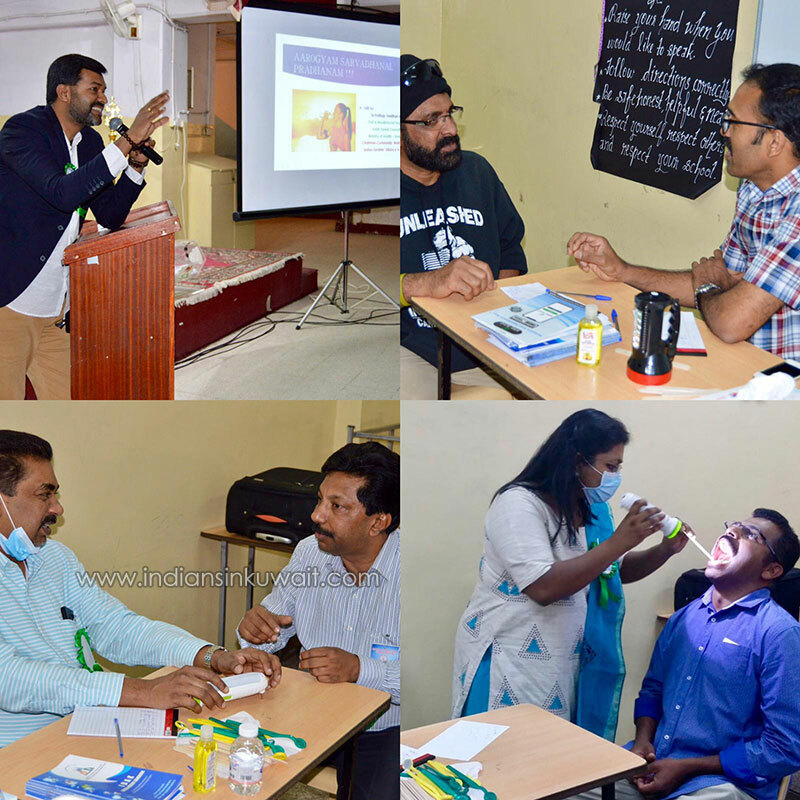 Thanks to the selfless service of the IDAK Community Welfare Committee and volunteers, Dr. Pratap Unnithan, Dr. Shija Ronson, Dr. Ajay Vazhiyodan, Dr. Subu Thomas, Dr. Prabha P Ramabhadran, Dr. Tiny Elsa Jojo, Dr. Krishnamurthy Gowda, Dr. Prashanthy Sreejith and Dr. John Thomas, that mission was successfully accomplished . Members of the church and over a hundred expatriates mainly inmates of labor camps were screened, oral hygiene instructions given and tooth paste and mouth wash samples were distributed free of cost. Community Welfare Committee Chairman, Dr.Prathap Unnithan also did a presentation to the huge gathering of labour campers in United Indian School, the venue of the camp, on the topic " Good Health is True Wealth " and explicated the effect of our current unhealthy lifestyles on the predominance of diseases and the healthy life style modification tips to curb them. The health seminar and screening camp was highly appreciated by the organizers and participants alike. IDAK extends its genuine appreciation to vicar, Rev. Georgie Varghese, Mr.Kurien Abraham and the whole organizing team for exemplary team work and coordination . For such seminars and camps contact IDAK at [email protected] .